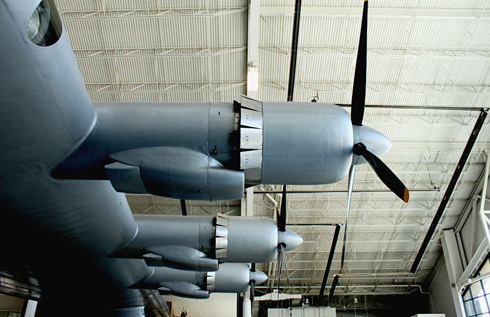 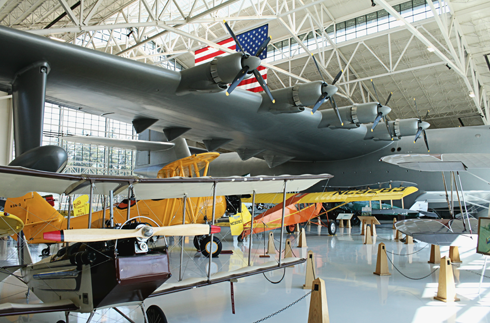 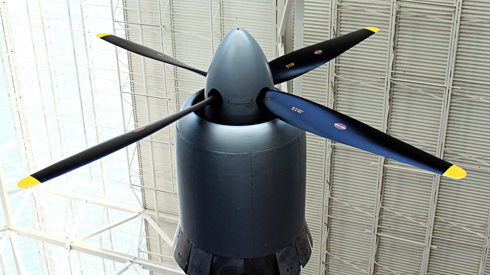 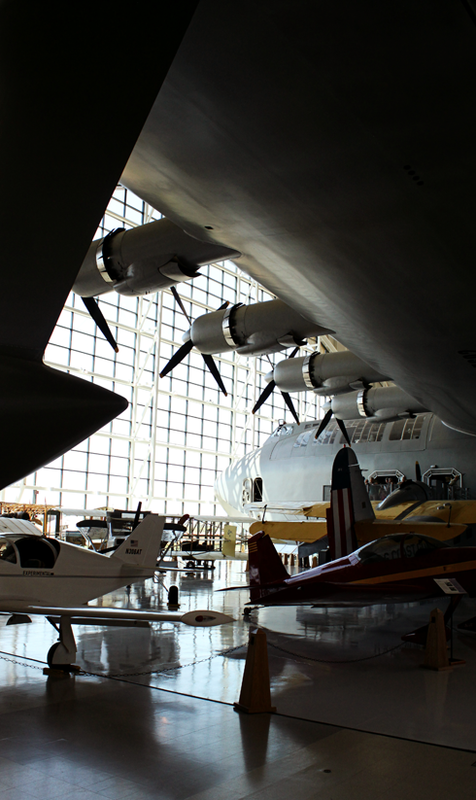 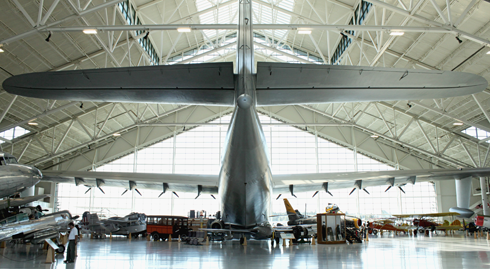 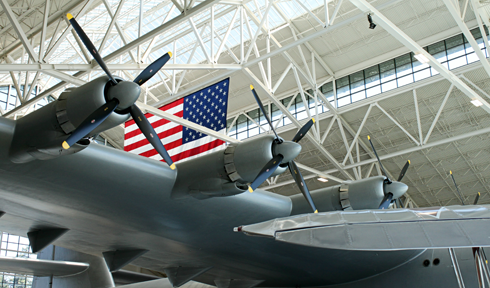 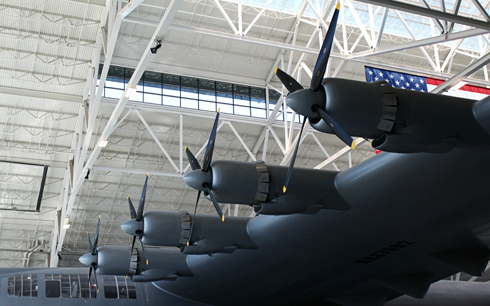 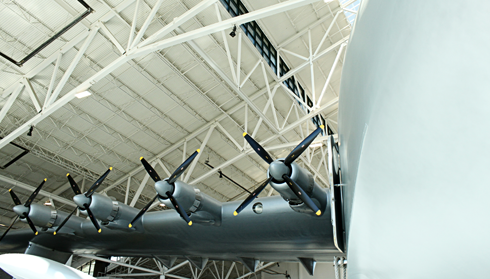 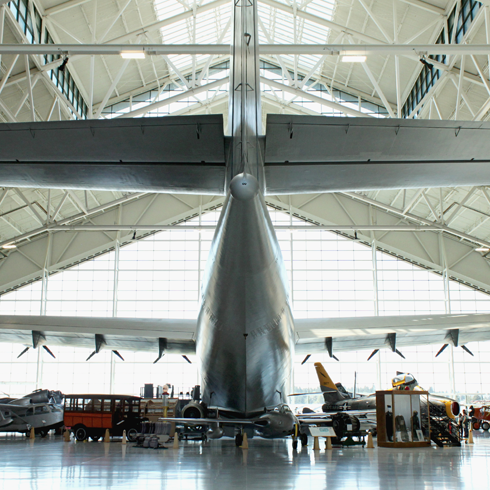 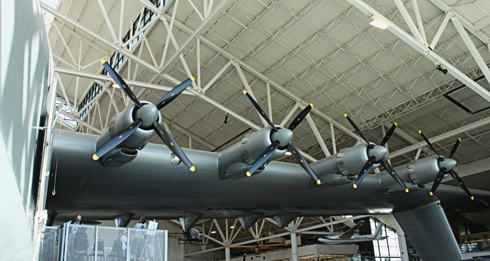 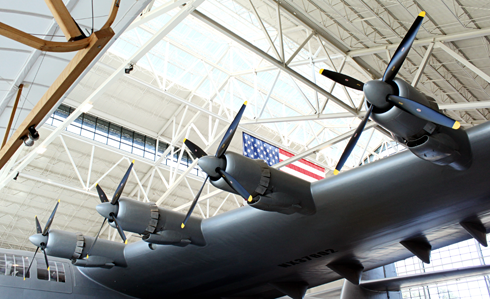 Howard Hughes' iconic H-4 Hercules (AKA the Spruce Goose) is the centerpiece of the Evergreen Aviation Museum in McMinnville, Oregon. 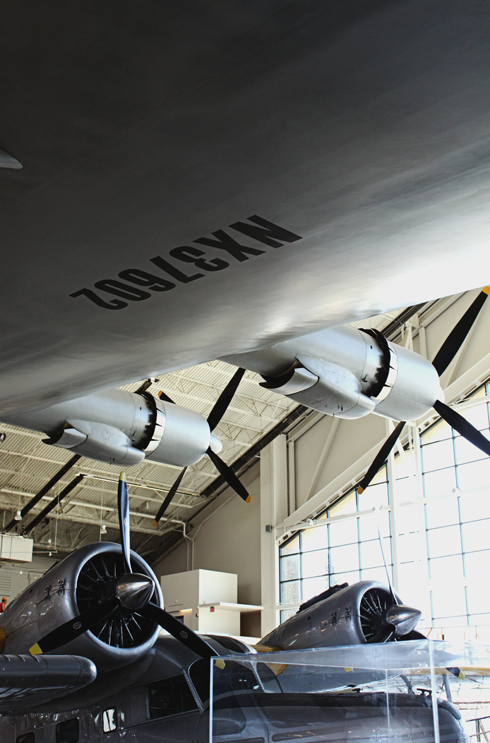 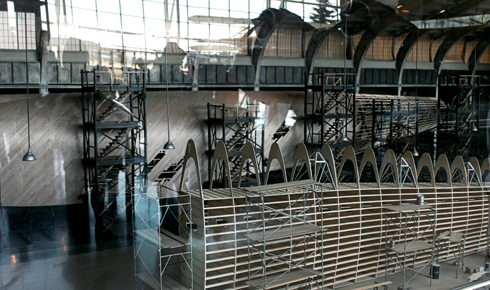 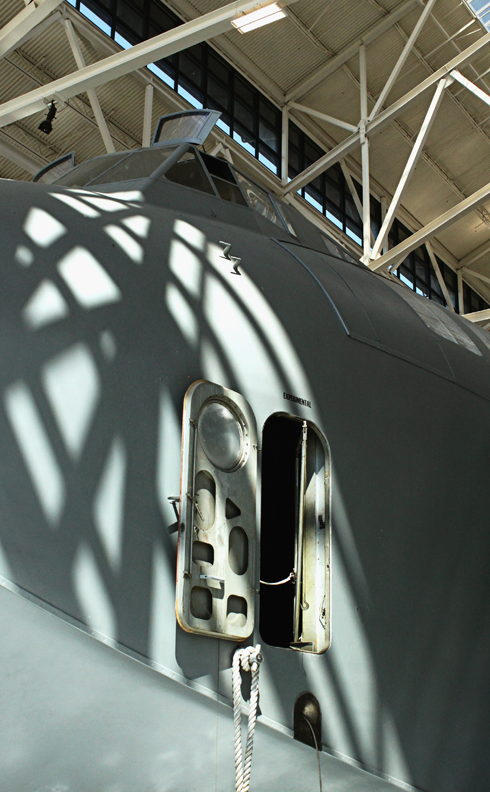 As soon as you enter the museum this massive plane dominates the space. 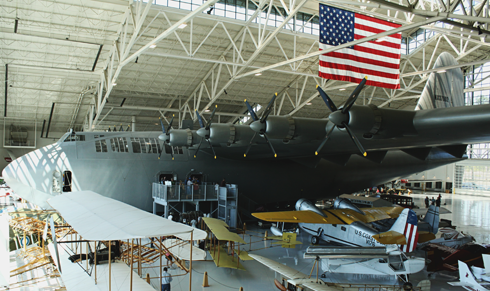 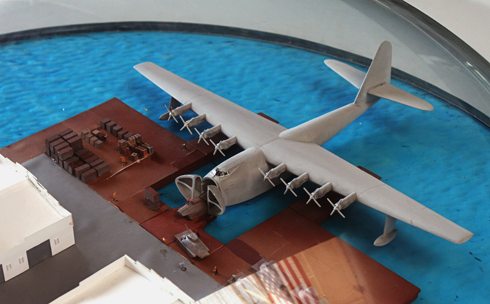 It's the largest flying boat ever constructed, and to this day has the largest wingspan of any aircraft ever built. 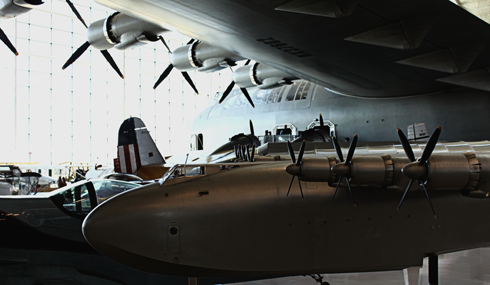 While all of the planes at this museum were incredible, it's not every day that you get to see such a memorable piece of aviation history up close. 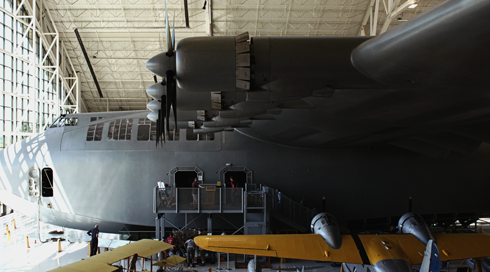 Howard Hughes' H-4 Hercules was built between 1943-1947, and was dubbed the Spruce Goose because it was made largely out wood. 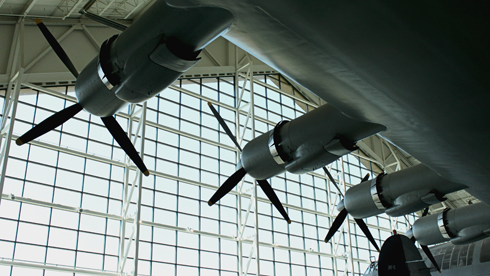 Metal was in short supply during the war, but despite the plane's nickname it was actually made out birch - not spruce. 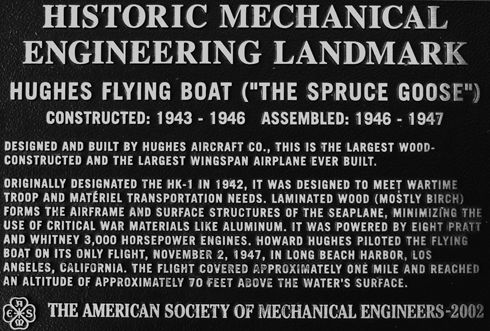 The H-4's only flight took place on November 2, 1947 in the Long Beach harbor, where it flew approximately 70 ft. above the water piloted by Howard Hughes. 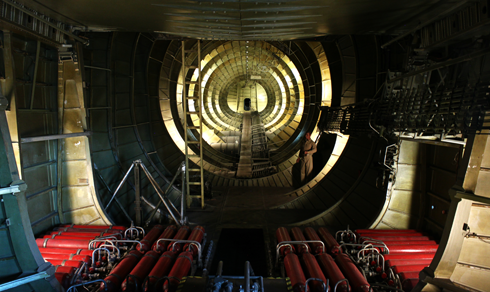 Inside the cargo bay of the Spruce Goose.